The International Studio & Curatorial Program (ISCP) Fall Open Studios is a four-day exhibition of international contemporary art. The 36 artists, artist collectives and curators from 22 countries currently in residence at ISCP will present work in their studios. Open Studios offers the public access to innovative contemporary art practices from across the globe—seen for the first time together in New York City—providing an exceptional opportunity to engage with the production, process and archives of artists working with a diverse range of mediums, approaches and concepts. Alongside Open Studios, ISCP presents a series of programs in collaboration with 98weeks, an artist-run space in Beirut, and Valiz publishers, based in Amsterdam. 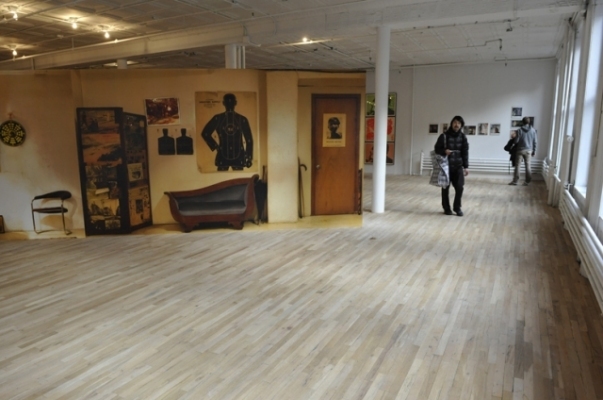 In October 2011, ISCP launched an annual residency for an international contemporary art organization. This residency was initiated in the same spirit as ISCP’s residency program, to support cultural exchange by bringing an international perspective into a local context. Currently in residence at ISCP is 98weeks, a non-profit, artist-run space in Beirut that operates within an expanding arts infrastructure and addresses a new generation of artists. To translate this singular configuration into another city, and to transpose 98weeks’ project space into an institutional one, poses different challenges, such as how to re-present the immaterial, process-based nature of 98weeks’ activities. In order to address this, 98weeks presents A Program, which is being hosted by ISCP to accompany Open Studios. November 4–6th, 3–7pm: On the city, a selection of videos and works that disclose urban narratives on contemporary Beirut, revealing aspects of the city and its history that have not yet been subsumed under dominant narratives or popular clichés. Artists include Marwa Arsanios, Vartan Avakian, Mounira el Solh, Siska and Karine Wehbe. Saturday, November 5th, 5pm: On Publications with Suneela Sunbula and Mirene Ghossein. Sunday, November 6th, 3pm: Text Tasks: Roles and Relations in Artistic Research with Mirene Arsanios and Sidsel Nelund. Sunday, November 6th, 5pm: See it Again, Say it Again: Panel discussion and book launch of the publication edited by Janneke Wesseling. See it Again, Say it Again sheds light on the phenomenon of research in the visual arts. Panelists include David Jablonowski (artist), Frank Mandersloot (artist and contributor) and Janneke Wesseling (art critic, NRC Handelsblad and co-director, PhD Arts, Leiden University). Moderated by Kari Conte (ISCP).